Sean Williams' Star Wars: The Old Republic: Fatal Alliance is down one spot, finishing the week at number 13. For more info about this title: Canada, USA, Europe, AbeBooks. 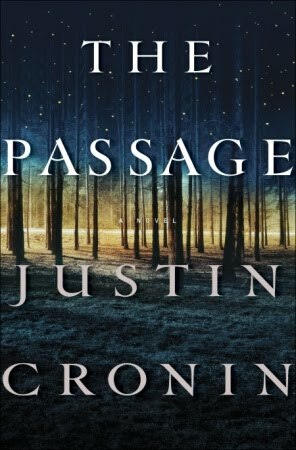 Justin Cronin's The Passage is down three positions, ending the week at number 14. For more info about this title: Canada, USA, Europe, AbeBooks. Kelley Armstrong's Waking the Witch debuts at number 16. Charlaine Harris' Dead in the Family is up one spot, finishing the week at number 17. For more info about this title: Canada, USA, Europe. Todd McCaffrey's Dragongirl debuts at number 28. Charlaine Harris' Dead and Gone is down nine spots, finishing the week at number 22. Stephenie Meyer's The Host is up two positions, ending the week at number 24 (trade paperback). Drew Karpyshyn's Mass Effect: Retribution debuts at number 29. Charlaine Harris' Dead Until Dark returns at number 31. Lev Grossman's The Magicians return at number 32.